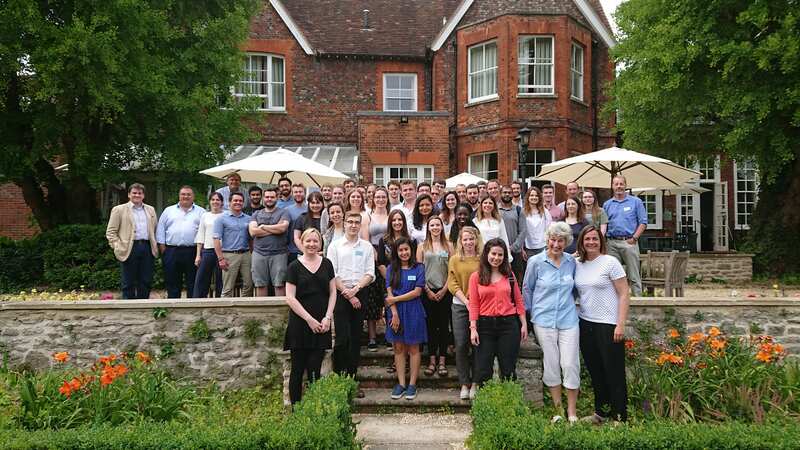 35 BBSRC PhD students from across the UK enjoyed a four-day intensive Skills School earlier this month. 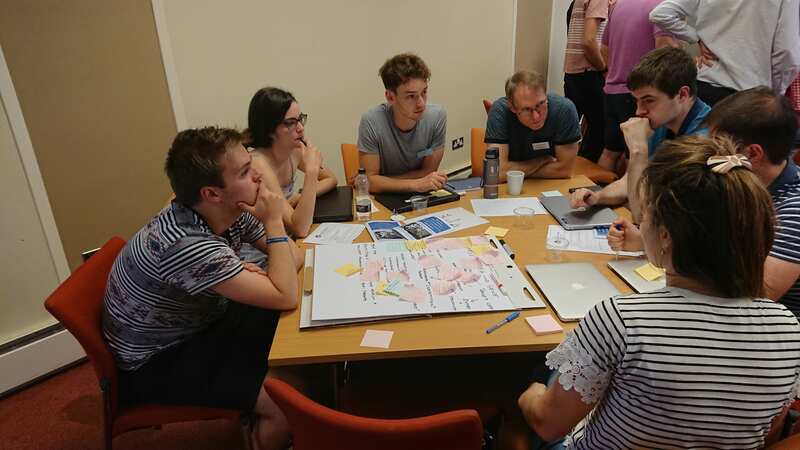 The BBSRC-funded Grand Challenges for Technologies and Methods for Drug Discovery Skills School took place at the Cosener’s House in Abingdon and ended with students pitching to a panel ‘Dragon’s Den’ style. This event was organised by the SWBio DTP in collaboration with the Oxford Interdisciplinary Bioscience DTP and the GSK CTP. Dr Anne Miller (Enterprising Oxford) and Maria Zubeldia (Saïd Business School, University of Oxford) played a prominent role in facilitating the 4 days with their wealth of experience from running a similar Plant Pathology Skills School led by Prof Gail Preston (Co-Director, Oxford Interdisciplinary Bioscience DTP). The Skills School involved teams of students aiming to solve problems around challenges currently limiting drug discovery, focusing on possible technological and method-based solutions. The Grand Challengers included Dr Mike Hann and Dr Steve Hood (GSK), Dr Tom Crabbe (UCB), Dr Sara Imarisio and Dr Diane Swallow (Alzheimer’s Research UK), Dr Alastair Parkes (Evotec), and Dr John-Paul Jukes and Dr Jay Bertrand (Vertex). As well as hearing from speakers on methods and technologies used for drug discovery, the students took part in a site visit to Evotec at Milton Park, Abingdon. They toured the facilities and were given advice on how to succeed in getting a job with industry following their PhD by Evotec’s HR manager, Kathryn Wilkes. They heard from a panel of industry post docs over lunch, where they discussed the differences of working in industry and academia. The afternoon gave the teams the chance to get back together to consult different stakeholders and then reflect on how their opinions and perspectives would influence their final pitches. The stakeholders included a member of a patient advocacy group, a non-profit funder organisation, a medical professional and an entrepreneur. After lots of hard work on their pitches on the final day, the teams presented their ideas to the panel, which consisted of Dr Peter Weber (Immunocore) alongside Anne Miller and Maria Zubeldia. In the end, the panel could not decide on one winner, and instead they chose two winning teams: the Alzheimer’s Research UK team who worked to solve ‘How can technology and pharmacology effectively and economically reduce the global incidence of dementia?’, and UCB team who took on the ‘Technology platforms to increase the reach of antibody drugs’ challenge.